Welcome to Under the Covers, Maria. We haven’t been this excited about a new shifter series in a while. Since this is your first time here, tell us five things about yourself that readers wouldn’t know! I write under a pseudonym. My first name is my first name otherwise I’d never answer anyone, but my last name is derived from my mother’s maiden name, Valentine. To feel more viscerally what it’s like to be surrounded by wolves howling, I spent a night in a tent at a wolf conservation center. My first book was published when I was 56. I say this because I want every reader to know that there is no deadline on dreams. Except football. There’s definitely a point at which you’ve got to give up your dreams of being in the NFL. I haven’t had a driver’s license since forever, so one of the odd things I pay attention to in books I’m reading is how to write about driving. I lived in Berlin for four years. It was both wonderful and terrifying. Two small children, husband constantly on the road. I am supremely grateful to have a chance to talk to UTC! 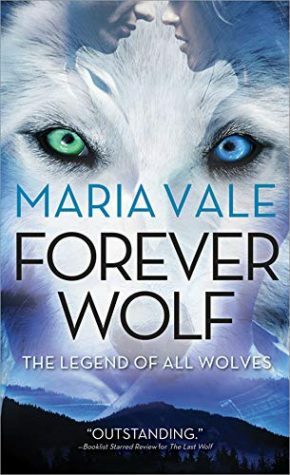 What can you tell us about the latest book Forever Wolf in The Legend of All Wolves series? The heroine, Varya, comes from a hard place that has made her hard. Though I want to emphasize that she’s never mean or arbitrary. She fears the Great North is too soft and won’t recognize the dangers that she knows too well. 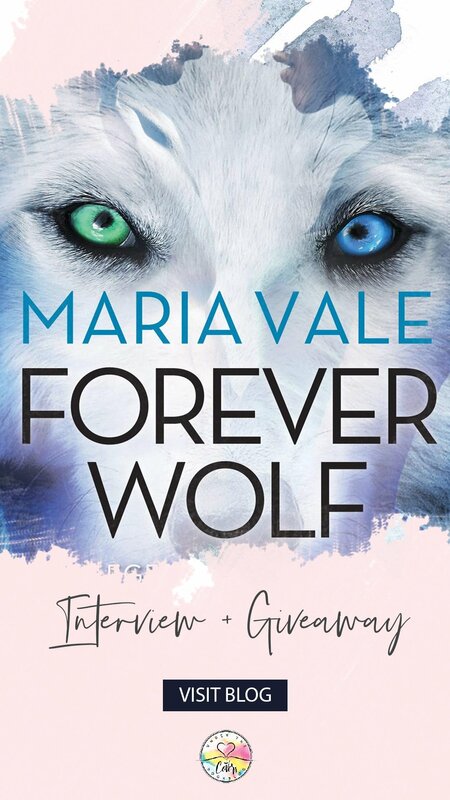 It’s only when she meets another Arctic wolf dying in a corner of Homelands that the chinks in her armor begin to show, that she comes to reconcile herself with her past and understand that the Pack needs more from her than her protection. Your Wolves are something completely different from you usually find in the paranormal romance genre, what was the inspiration behind them? I read a PNR a couple of years ago and while I enjoyed it, I found myself thinking at some point that there really wasn’t much “Para” in the “normal. I thought: I’ve known guys like this. Blustery, bad-tempered, but really human, with a wolf thing tacked on. My thought was what if I flipped it around and made them fundamentally different. Made them wolves who sometimes became human? I also thought this would be a chance to get away from the absolutely fatal brutish stereotypes and portray wolves more sympathetically. Your heroines have all been really unique, we particularly have a soft spot for Silver, do you have a process for building your characters…a masterplan for the series? The masterplan at this point is three books from the perspective of the Great North, then possibly three books from the perspective of outsiders coming into the Pack. I’ve got a contract for one that I’m working on now. We’ll see what comes next. What is your favourite part/aspect of this book (or this series so far)? Trying to see humanity through the eyes of the Great North. Leonora, the Human Behaviors teacher, is not a major character, but I love her. She is always trying to prepare her wolves for what they will find Offland. She usually gets it just a little wrong. If you were going to write about another paranormal creature which would it be? MMMM. I have a few things in mind: I’m 2/3rds of the way through a book about Death and a waitress, but I keep putting it on hold while I write the Great North. I expect I will self-pub since this Death isn’t dark and brooding, but rather an eternal innocent who has up to now been immune to the pain of time. I also have a thought about a young woman who is a receptacle for the demons of her community and another about dryads. If you washed up on a desert island, which book would you want to be washed up with you? And because the danger of hopelessness would be high on said island, I’d also like Victor Frankl’s Man’s Search for Meaning. Which tropes are your favourite to write? Are there any that you avoid? I don’t think I write tropes so much as write whatever is required by the character. That said, there are certain tropes I’m not crazy about including whatever trope it is that leads two people to set up endless unnecessary roadblocks for themselves that leave the reader yelling “Oh, for Pete’s sake, just tell him already!” Whatever trope that is, I’d like to avoid it. What are three things you are currently loving that are not related to books? I’m also trying to help in wolf conservation efforts since there is a move afoot to remove protections on wolves across the lower 48. This is such a wondrous era to be a writer. It is human nature to complain and worry, but really, I remember before indie was a real thing: If you didn’t have a publisher, you didn’t have a voice. I remember how hard it was to get the word out and gatekeepers were just that. I also remember how easily things went out of print. Didn’t sell enough copies? Your books were simply shredded to make room for the next new thing. I don’t know exactly what I will be doing but writing for sure. Thank you for stopping by here today to share with our readers. Silver is such an incredible character and I love the type of wolf in this series. I’m so grateful, Elizabeth. To me she combines the innocence and fierceness that I think of as being wild. What a fascinating series! Great interview too. Thanks for sharing. I’ve read book 1 in this series. 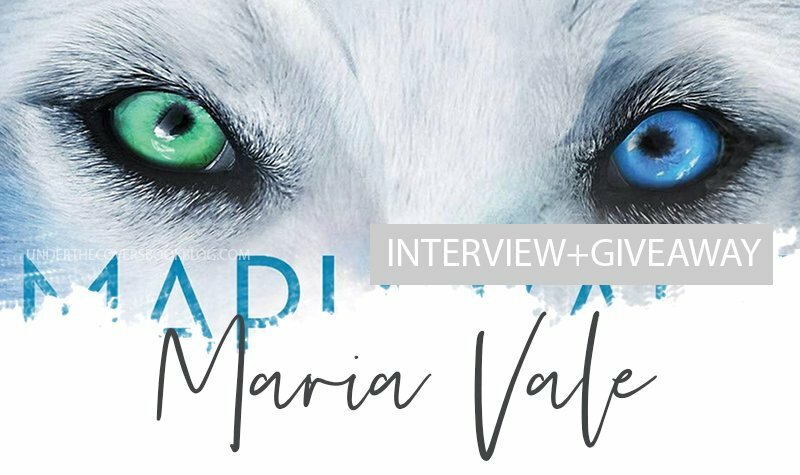 Maria Vale is a new to me author.